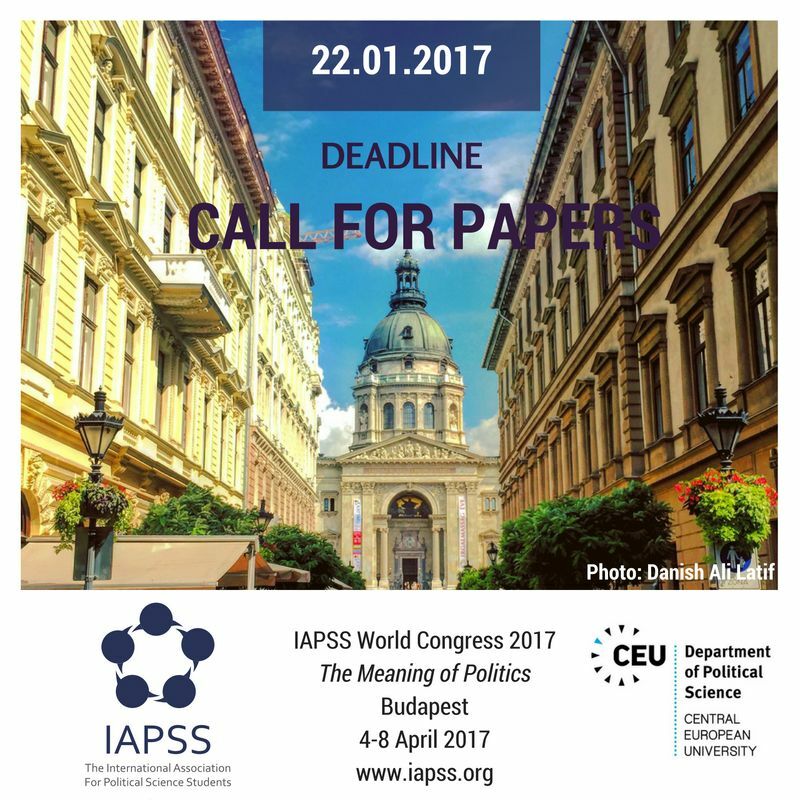 The Political Science Department at Central European University will host the event on the Budapest campus between April 4-8, 2017. IAPSS have a fascinating program of student-led panels, expert talks and interactive workshops and sessions. This is not to mention the exciting opportunities to network with fellow students and experts, as well as exploring beautiful Budapest! Students can attend either as a panelist or as an participant. As a panelist you get the opportunity to present your paper in a panel and discuss it with fellow students. Alternatively, you can attend the Congress as a participant, where you will be able to participate in all aspects of the program – both academic and social.